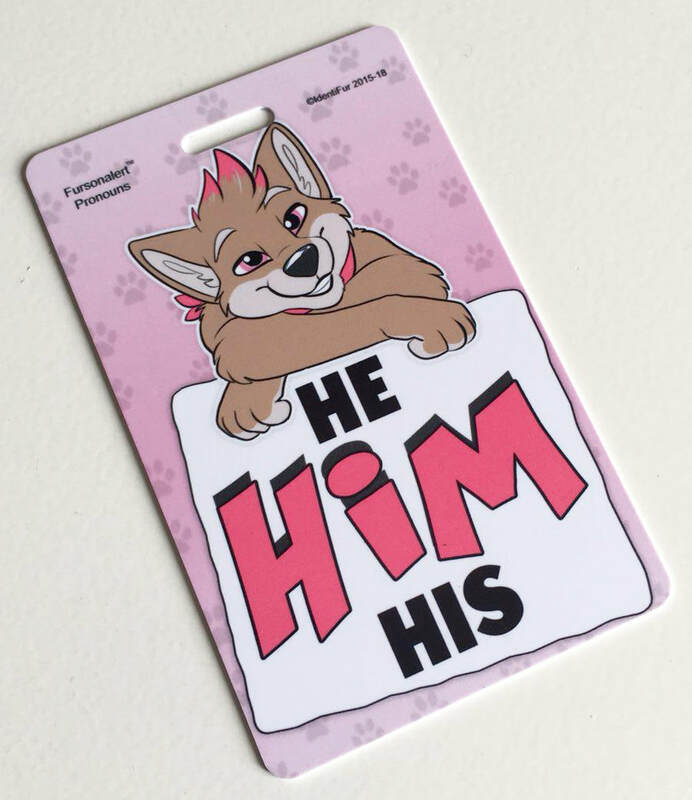 ​These badges are perfect for letting your audience know what you prefer to be called. works for both in and out of suit! Eye popping color & design that is intended to ALERT your audience. CUSTOM art of your fursona, choose from various poses when ordering. ID number for re-ordering in case lost or damaged. Choose background color and pattern. You are able to choose an optional expression with your pose. High quality artwork image done by artists. Standard shipping charges will apply.